All Nagpur voices on one platform! We often see Nagpur's musicians on various TV shows and platforms and think why we couldn't see them in our own city. The problem has always been getting a proper channel for these musicians to let them make their music available to us. To address this, Nagpur Unplugged was launched last year to get all the budding as well as established Nagpur voices on one stage. Reacho brings you their journey as a team and a commmunity. "Sun Sathiya" was one of starting videos by Nagpur Unplugged, featuring Anuja Ghadge as singer. It was shot in a chroma studio. Their aim was not just to be involved in commercial music but also into the independent scene. 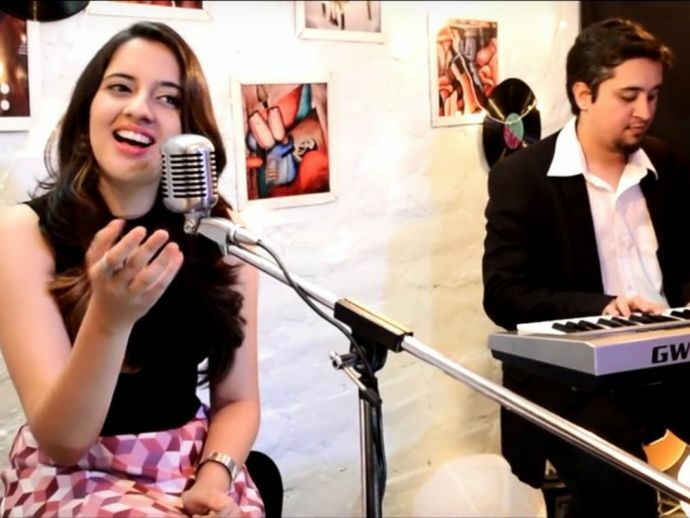 They collaborated with the popular metal band AYOG to create an unplugged version of their original "Aigiri Nandini". They shot this at the iconics Zhilpi location. Uniting all artists was the main motive of Nagpur Unplugged. They organised the biggest musical collaboration in Nagpur till date. It included the most senior "Dhakde Guruji" to the most juniors Shreya Jain, Avani Arya. A lot more artists of different genres like Mohit-Sagar, Band Barood, Shyam Jain, Arvind Upadhye, Vinay Mojes etc. came together for the "National Anthem". The song "Mai Hun Hero Tera" was hitting the charts that time so they decided to make a Female version of the song as original has been sung by Salman Khan himself. Nagpur Unplugged recorded, shot & released their version within just 48 hours of the release of original. It was sung by Shruti Jain. Popular live performer & a reality show singer Rini Chandra collaborated with them for the song cover "Sapna Jahaan". Nagpur Unplugged have just crossed the 50K+ on one of the videos of the first Set Based Musical Series called Music Room! The song is Chehra Hai Ya Chaand performed by Rushabh Jain. After the initial success, they launched their original piece, Rooh Ko Sukoon, sung by Suresh Iyer. A lot more original stuff is in the pipeline. This year, they were back with part 2 of musical web series Music Room. The series went on for 3 months in 3 different themes - Retro, Reprise & Redux. The video below is from the retro theme where Purabi Edbor is performing "Tu Tu Hai Wahi". This video was also shared by the popular blog POPxo. This video is from Music Room 2 Redux which features Nagpur's very own Shrinidhi Ghatate. Music Room 2 has been entirely produced by Ghar Ka Studio (Nagpur's favourite Music Production facility). They also tried our hands in getting Kids in for musical series & the response was amazing. Here is a video from Music Room Juniors featuring Sumedha Balpande. So stay tuned for more amazing music content from Nagpur Unplugged and wish all the talented artists best of luck for their future endeavours.